I live north of Eight Mile Road (actually well north). Eight Mile Road is the dividing line between the city of Detroit and Oakland County. Below that road lies a city suffering four decades of significant decline -- losing population, tax base, and hope. It is also predominantly African American (about 80%). North of that line, in Oakland County, lies a predominantly white, relatively affluent land. For decades the two sides of the road saw each other in antagonistic fashion. 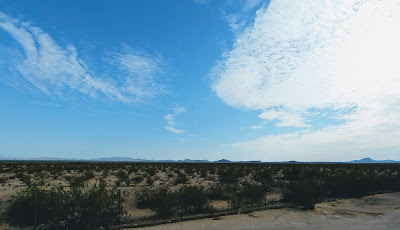 It was as if a concrete wall had been erected (in places it was) so that the two communities didn’t mingle or acknowledge the presence of the other. There are cracks in that wall emerging – largely because the economic problems of Detroit are affecting the bond ratings of Oakland County. We’re finally discovering that maybe we need each other. But the road forward is a difficult one, because there is great suspicion on both sides of the wall. 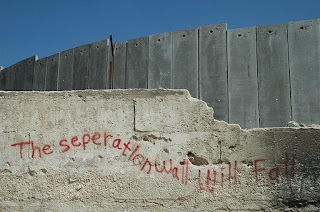 What are the walls that divide us from one another? Some are physical, some are cultural, some are emotional, and some are spiritual. 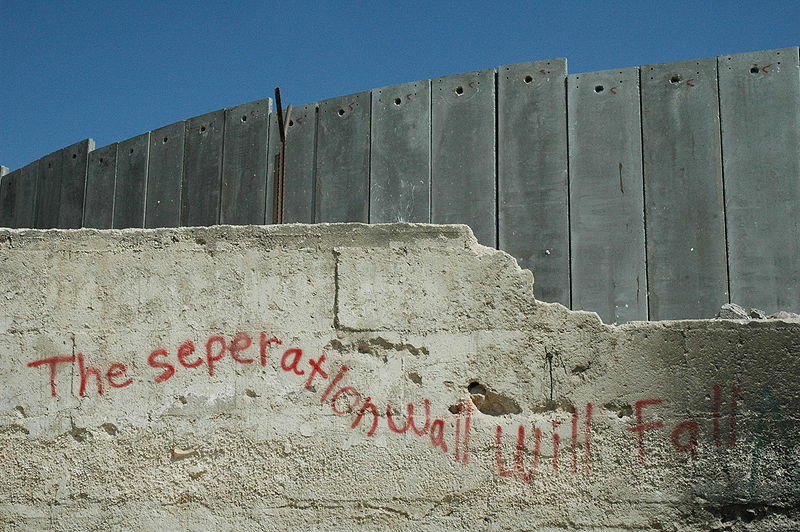 The question is – how do we tear down the walls that divide? How do we find reconciliation and hope? And as Paul invites us to consider -- how do we clothe ourselves with Christ so that liberation can occur? In the reading from 1 Kings, Elijah, while fresh off his victory on Mt. Carmel is on the run. Jezebel sends a warning to the prophet, letting him know that his days are numbered. This leads a terrified Elijah to head for the desert. Sitting down in the shade of a Broom Bush, Elijah contemplates his life. What seemed like victory has only enraged his opponent. His life is on the line, and he doesn’t know where to go. So, like Job, he asks God to get it over with – if you want me dead, then kill me! The lectionary allows us to skip the verses where Elijah lays down and goes to sleep, only to be awakened by a messenger (an angel of God) who tells him to get up and eat, for the road ahead will be difficult. I think this little section is important to the story. He needs to eat; he needs to be prepared for what comes next. So, refreshed by his meal, he heads out on a forty day journey (like Moses and Jesus), arriving at God’s mountain. Entering a cave, he receives a word from God, who asks – “Why are you here Elijah?” As if God didn’t know (or at least you’d think this to be true, since a messenger of God sent him on the journey. Perhaps God just wants to get Elijah to make his case. Elijah replies: I’ve been zealous in my pursuit of righteousness, and yet here I am, the last of your prophets. I’ve done as you’ve said, but my opponents have torn down your altars and killed your prophets. Let’s just admit it, we’ve failed. Elijah has no sense of hope, no vision for the future. He feels alone – abandoned by God at this critical moment. As often happens in the struggle for justice, Elijah feels that he is alone in the struggle and focuses on the faults of the people instead of God’s presence, provisions, and power. But Elijah finds God in the most unexpected presence of a gentle, quiet whisper of silence. (Preaching God's Transforming Justice: A Lectionary Commentary, Year C, p. 290). God invites Elijah to stand at the opening of the cave, so that Elijah can discern the presence of God, who is passing by the opening of the cave. The story suggests that first a Mighty Wind passed by, then an earthquake occurred, and then a fire erupted. Elijah didn’t sense God’s presence in any of these manifestations. But, then in the midst of this small quiet voice, Elijah finally sensed God’s presence. Yes, God is often present in ways we don’t expect. We feel alone when we expect God to speak to us in the thunder and quakes. But more likely we’ll have to tune our ears to hear God’s quiet word of encouragement and direction. This is a good word for us to hear as we take up the challenge of ministry in the current age. The two passages from the New Testament speak of liberation. The Gospel tells the story of Jesus’ encounter with the Demoniac, and Paul speaks of the power of putting on Christ so that sources of division might be removed. In Luke 8, Jesus heads across the lake to the land of the Gerasenes, a Gentile community sitting across the lake from Galilee. When Jesus steps out of the boat he’s accosted by a deranged man who comes out at him from a grave yard. In Luke we’re told that the man is possessed of demons that go by the name of Legion. Now Legion can simply mean “many.” But remember that the Roman army is divided into legions, and a Roman Legion is a source of oppression for the Jews. As the man comes out from the graves, he identifies Jesus as Son of the Most High God. One of the questions posed by the Gospels concerns Jesus’ identity. While the disciples and the crowd struggle to understand who he is, those affected by the spiritual world always seem to know the answer the disciples are searching to discover. The spirits within the man ask Jesus what he’s up to, for Jesus represents a different realm, one that isn’t supposed to come into contact with the realm of darkness. We know from the story that the man is clearly deranged. We could pull out our mental health diagnostic book and figure out that he’s probably suffering from schizophrenia and thus has been shunned by his community, because he appears dangerous. We can do this psychological analysis, but we might miss Luke’s point (after all he doesn’t have training in psychiatry). There is something spiritual or even cosmic going on here. There is a battle between realms, and this other spiritual realm seems to know the story better than the disciples. In any case, the demons beg him not to destroy them, but instead allow them to inhabit this herd of pigs (remember that Jews saw pigs as being unclean), which Jesus obliges them. But in doing so they cause their own demise since the deranged pigs run off the cliff as if lemmings. Now in his right mind, the man stands before Jesus a new person. He’s been liberated, freed, to take up his place in society. Of course his neighbors don’t know what to do. They’ve shunned the man for years. They’ve probably mistreated him as well. He’s a problem that they’d like to just go away, like a pan handler on an urban street. Though his life is changed – restored – instead of receiving the word with joy, they respond in fear. They don’t want to have anything more to do with Jesus. Maybe they’re afraid they’ll lose even more livestock. As Jesus is about to heed their warning and head back across the lake, the now liberated man asks to accompany him. Let me be your disciple. Instead of welcoming the man on board the boat, Jesus sends him back home – this time with a message about what God has done. He becomes that ambassador of reconciliation that Paul talks about in 2 Corinthians 5. Yes, he returns home as an evangelist – a teller of good news. Both Elijah and the man formerly called the Demoniac have a new mission. One anoints a king and the other speaks to his neighbors, but in each case, walls come tumbling down and a new age begins. These stories lead us to Paul’s continuing encounter with the Galatian church. There is debate going on about the role of Law in the community – not necessarily Torah itself, but laws that Jews have in the past imposed on Gentiles as a form of gate keeping. It’s something we’re all rather good at. It’s not enough to be a Christian, one must hold to the right beliefs and practices – either of the left or the right. Law then becomes a prison, but now Christ has come in his faithfulness to overturn that law that divides, so that the fullness of God’s Torah, God’s word of blessing, can be experienced. Faith in Jesus makes the custodian or disciplinarian unnecessary. Now Gentiles can approach God through faith in Jesus. But faith leads to change, because faith in Christ means being clothed with Christ. In the ancient world, clothing reflects identity, and to change one’s clothing reflects changing that identity. If one is a slave and puts on the robes of the aristocracy, one’s standing will have changed. Paul suggests that our identity changes as we clothe ourselves with Christ through baptism. In the ancient church when one was baptized, one stripped off one’s clothes, entered the waters of baptism and after being washed in those waters, one emerged and received a new set of clothes as signs of this new identity. And with this new set of clothes comes ethical and moral consequences. As Edward Wheeler puts it, “One who is clothed with Christ must emulate Christ and mirror God’s justice and love for the world.” In fact, as we read on in verse 28, it’s clear that “to put on Christ also meant that the injustices perpetuation by those stratifications in society were obliterated in Christ and Christ’s body the Church” (Preaching God's Transforming Justice: A Lectionary Commentary, Year C, p. 293). This is a good reminder to us. When Paul wrote these words to the Galatian church, he was writing to a people who lived in a highly stratified world. You didn’t change your identity very easily, so one needed to remember one’s place. Ethnicity, economic status, gender identity, were rather permanent. It would be expected that these societal norms would be brought into the church, and they were. But the Gospel challenged this reality. Paul writes with an eschatological frame of reference. Jesus has come and will come to turn these “norms” upside down. Jesus’ mission is to liberate the captives and heal the blind. In this new eschatological realm of God, the “fractions divisions of the old are replaced by relationships of mutuality and acceptance” (Allen and Williamson, Preaching the Letters Without Dismissing the Law: A Lectionary Commentary, p. 22). In verse 28, one of the most powerful statements found in the New Testament, and one of its most liberating passages, Paul illustrates what this means. He picks out three pairs of relationships. The first – Jew and Greek is ethnic in nature. In choosing the word Greek, Paul makes it clear that it’s not religion here; it is ethnicity that is a dividing line that Jesus overcomes. Both Jew and Greek looked at the other as being of lower status. By putting on Christ, that set of distinctions comes to an end. Of course, we live on this side of the apocalypse, and those divisions remain with us. Jew/Greek become Black/White; Latino/Anglo; and on we march. Our churches remain one of the most segregated segments of society. Clearly this reality has yet to be completely changed. But it has eternal reality. Then there’s the division between slave and free. In the ancient world slavery was embedded into societal makeup. The church included slaves and slave owners, because we find in the New Testament directives to slaves to be obedient and masters to be gentle and kind to their slaves. Of course, if one was to treat one’s slave as an equal, as a brother or sister in Christ, then surely that changes the social dynamics outside the church. Then Paul lays out the final pairing – that of gender identity. We are no longer male or female. As with slave/free, the male/female divide was deeply rooted in society. Women were often treated as property. One paid a dowry for a wife, who was expected to be obedient. That dynamic is again still with us in many ways. Women make less money than male counterparts. In many denominations women aren’t allowed to serve in positions of leadership or be ordained. Husbands are even encouraged to spank their disobedient wives (in some corners of the church). But what does it mean then for the men and women to relate to each other in the church as equals? This passage becomes very important because other Pauline texts and post-Pauline texts require women to be submissive and quiet. As we interpret passages that limit the place of women in church and society, where do we start? Do we read 1 Corinthians 14 or 1 Timothy 2 in the light of Galatians 3 or the reverse? The starting place will determine the outcome. As for me, I start with Galatians 3, for clothed with Christ we become equal in the sight of God, and thus our relationships in this world should reflect that understanding. As Ron Allen and Clark Williamson suggest, in light of our oneness in Christ through baptism, our “life in the church now should prefigure how Christ intends for all people to live in the world to come” (Preaching the Letters Without Dismissing the Law: A Lectionary Commentary , p. 220). Now, if in Christ, there is equality among ethnicities, economic realities, and gender identity, can we not add to the list gay/straight? If we belong to Christ; if in baptism we put on Christ, then, Paul says, we become the offspring of Abraham and Sarah, and thus heirs of the promise – the promise that in their descendants all the nations of the world will be blessed. As children of Abraham and Sarah, we have the opportunity to join in the work of taking down the walls of division. We don’t this by ourselves, for the presence of God is with us. It may seem lonely at times, but if we’re willing to listen closely, we’ll hear the still small voice of God calling out to us, inviting us to continue the journey.